There have been a lot of reports recently about when Samsung is going to unveil the Galaxy Note 8. Many expected Samsung to stick to tradition and announce the handset at IFA in Berlin this September but the rumor mill believes that Samsung is going to host a separate event for the new flagship. We started hearing not too long ago that Samsung’s event is going to take place in New YorK City and that it will be scheduled towards the end of August. Even specific dates are being rumored even though nothing has been confirmed by Samsung as yet. However, it appears that the head of Samsung’s mobile division has dropped a big hint. The president of Samsung’s mobile division Dongjin Koh, better known in the media circles as DJ Koh, has reportedly said that the Galaxy Note 8 will be announced at the end of August. 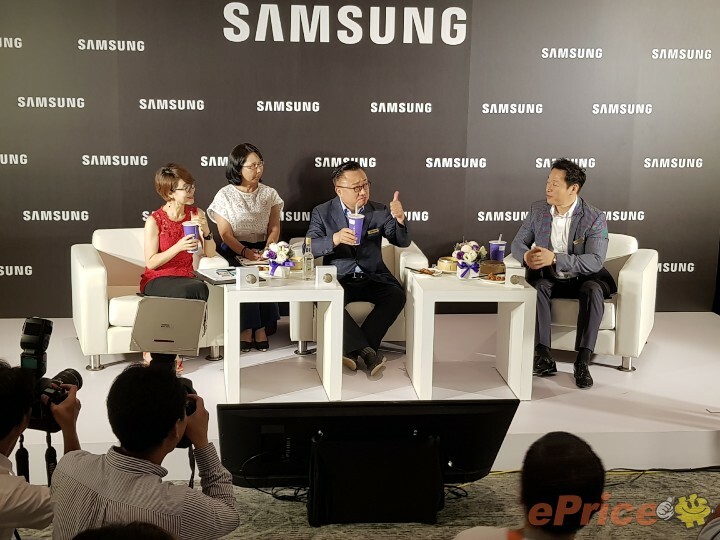 Koh and several other Samsung executives visited Taiwan this week to meet with executives from the local telecom industry. Later, they sat down with local media outlets in a brief question and answer session. 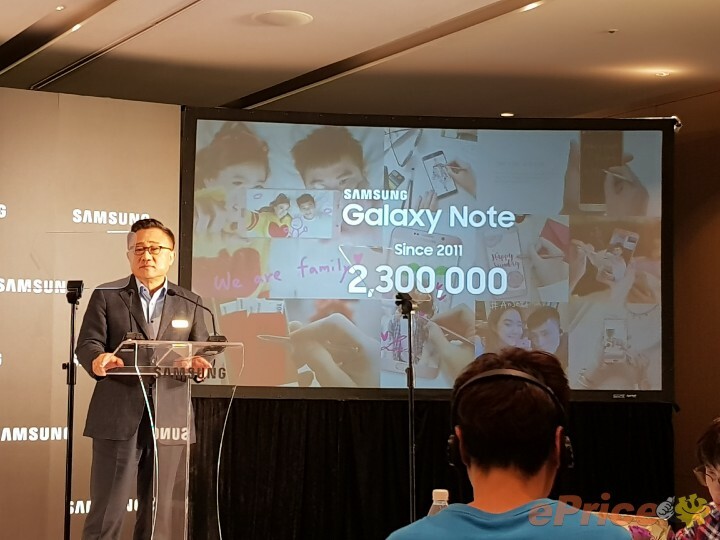 According to a report out of Taiwan, Koh said that there are a considerable number of Galaxy Note users in Taiwan. The company has sold more than 2.3 million Note units in Taiwan so far since 2011. He also mentioned that the Galaxy Note 8 will be announced by the end of August. Koh added that the Galaxy Note 8 will be released in the first wave of launch markets in early September while other markets will have to wait until October. He didn’t say anything about the price of the new flagship or the precise date on which the event will take place. Koh didn’t confirm where the event will take place as well. Given that the event is now said to take place by the end of next month, it’s only going to be a few weeks before all of this becomes known. I feel like the Note 4 still is the best designed of the whole line. A grippy plastic back built to take a beating giving you the option to easily replace the battery beats a fragile, slippery glass back with glued-in obsolescence any day in my book. Unfortunately the media has done a good job convincing us that a design is better just because it’s shiny. I hole hardly agree with on all points…. I’ve had every Note. I use sPen extensively in my work. The Note 4 was the best Note, in its time. Now it’s no longer a premium device and it’s design is outdated and old. Some people do prefer to stay still and never move on. The millions who will buy this (far more than bought Note 4) won’t agree with you. They wouldn’t pay even $350 for that old worn out design. anyone else remembers when the Note line was more advanced than the S-line forging new grounds i thought we were back to it with the Note 7 then the “Great Chaos” happened. The question is now are they going to play it same and dull with modded s8 with s-pen or will we actually have something new moving the commercial world forward technologically? Exactly my thoughts ! There is no difference between the s8 and note 8 besides camera and s pen ! Apart from 2 MAJOR features, they are the same. okay. in case you’re forgetting it was the S Pen, Leather and larger display and multi tasking that separated them before. now they both have large displays and multi tasking… what is your point? Note is for S Pen simple as. What are you talking about, the main differences in the Note and S was the S Pen and the DESIGN. S was plastic, Note was Leather. The bigger displays back then of the Note gave it multi tasking abilities. Now the S line has that, and they both share a similarly beautiful design. the main thing that did and still does separate the Note line is the S Pen! always has been. The S4 was still a wet bar of soap (not to mistaken for the S4 VE who had the Note 3 back). The Note 4 was the most powerfull Note. With the start of the Note 5, the S and N series converged. Specwise almost the same, design the same.